The Japan Alps loom high over central Honshu, not to mention in the consciousness of Japan travelers. At the same time, they remain one of the country’s most elusive regions for many—certainly, a Japanese Alps itinerary is often an afterthought—and not just because of their distance from the coast and cities like Tokyo and Kyoto. Whether you visit Chubu Sangaku National Park (as the Alps are officially known) to hike, trek or climb, or simply to partake in the excellent cities and culture that exist in and around them, continue reading my Japanese Alps itinerary to learn more about your options, which include some of Japan’s best skiing. Need help planning your Japanese Alps itinerary? 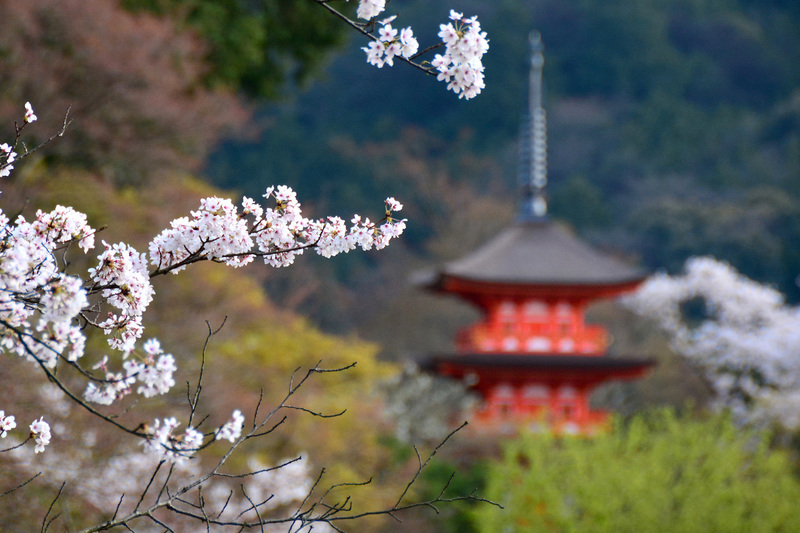 Commission a custom Japan itinerary today! 1 Is Mt. Fuji in the Japan Alps? Is Mt. Fuji in the Japan Alps? Looking at the Japanese Alps on map, it can be difficult to see where they begin or end. In particular, many travelers wonder whether Mt. Fuji, doubtlessly Japan’s most iconic mountain peak, sits within the Japan Alps region. While geologists might diverge from what I’m about to say, I believe the two to be separate, not only in terms of geology but in culture and vibe. The Fuji Five Lakes region, to be sure, has a distinct range of scenery and activities, much of which has nothing to do with the hiking and trekking you associate with the Japan Alps, climbing Fuji itself notwithstanding. Whether you spend a month in Japan or just two weeks, you should think about Mt. Fuji and the Japan Alps as two separate destinations. Mt. Fuji is famous, but the highest peak in the Japanese Alps is actually Mount Kita, which rises some 10,476 feet above the island of Honshu. Other high Japanese mountains, which attract climbers from all around the world, include Hotakadake, Kaikoma and Kisokoma, all of which are more than three kilometers in height. Japanese Alps hiking, to be sure, is both a more popular activity than climbing, not to mention a more accessible one. From the Nakasendo (which is actually more of a walk) to trails near cities like Matsumoto and Nagano, Japanese Alps hiking is something even proud city slickers can easily enjoy, as compared to other hiking in Japan. 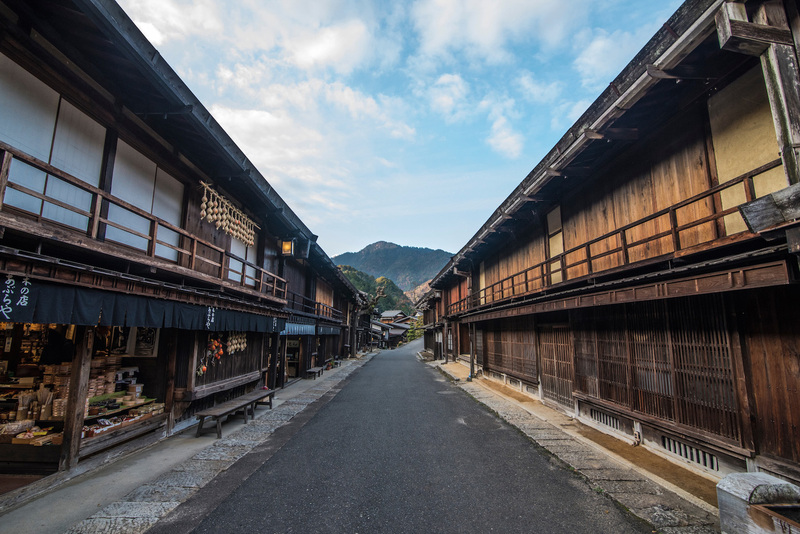 Speaking of the Nakasendo Way, which connected Kyoto and Edo (the former name of Tokyo) in ancient times, it’s an easy destination to add to your Japanese Alps itinerary. 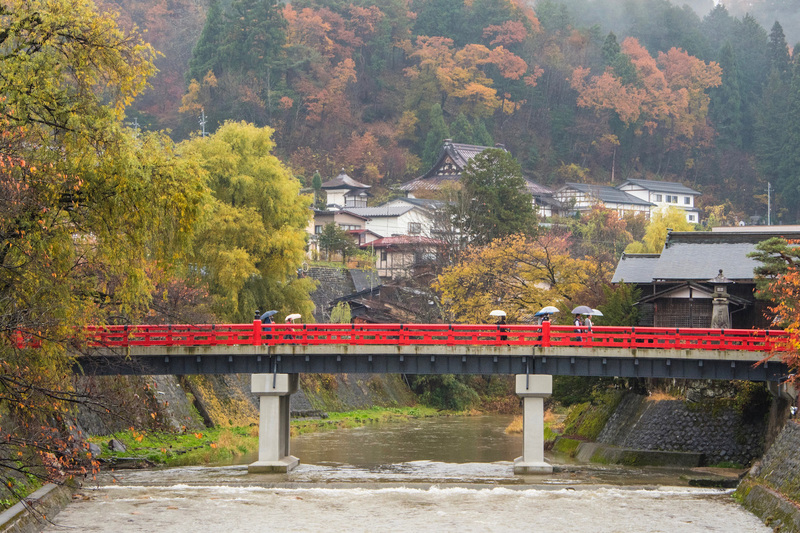 From Nagoya, get a train to Nakatsugawa and a bus to Magome, and begin your walk through the Japanese Alps—November, with its autumn colors, is one of the most beautiful times to walk the Nakasendo. 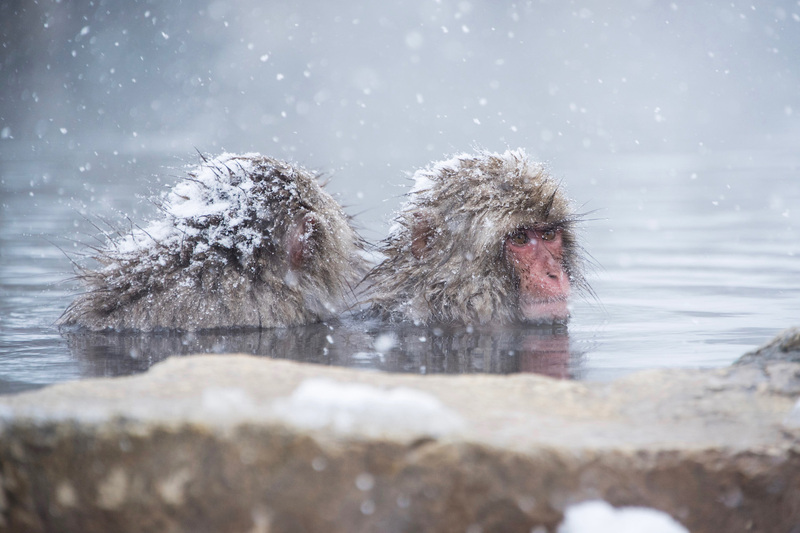 Whether plan your Japanese Alps itinerary for winter in Japan to take part in Japan Alps skiing, in spring to see the cherry blossoms, in summer as a counterpoint to Hokkaido or as autumn’s colors blaze through the hills and valleys, Japan’s seasons are all on full display in the alps. Japanese and foreigners hikers agree that the Japan Alps are a nature lover’s paradise, but you needn’t leave the comforts of the city to enjoy them. If you look at a Japanese Alps map, you’ll most immediately notice that the mountains are on the outskirts of Nagano. Here you’ll find Jigokudani (aka Hell Valley), which is home to Japan’s famous snow monkeys and one of my favorite Nagano hiking options. This is a great place from which to access the Japanese Alpine route. 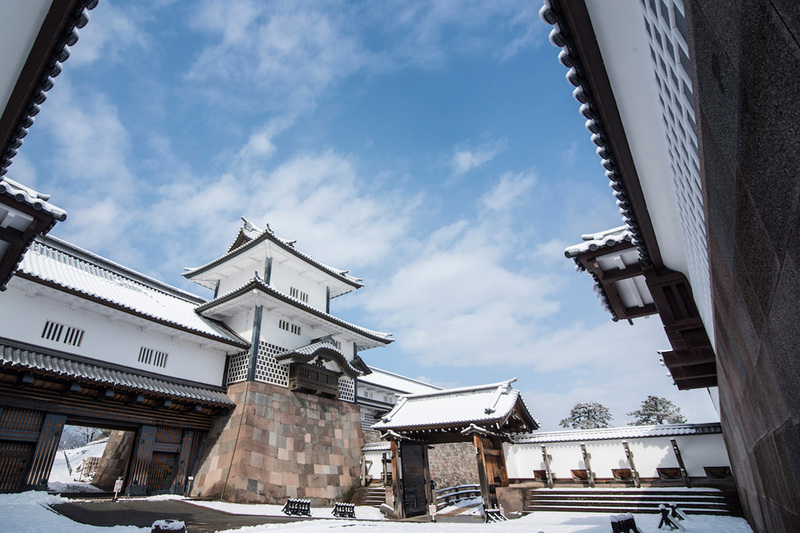 Not far from Nagano you’ll find Matsumoto, home among other Japanese Alps itinerary attractions like Matsumoto Castle (TIP: If you’re in Japan in spring, this is a great spot to enjoy sakura viewing). Spend morning at the castle, then head outside town to enjoy Kamikochi hiking during the afternoon, taking in scenic mountain views and a crystalline stream just before the sun sets. Other Japan Alps cities include Takayama, which is famous for its heritage architecture, and Toyama, which experiences some of the world’s heaviest snowfall in winter and boasts resplendent tulip fields in spring. While the former has become a major tourist attraction in its own right, the latter remains woefully under-visited. 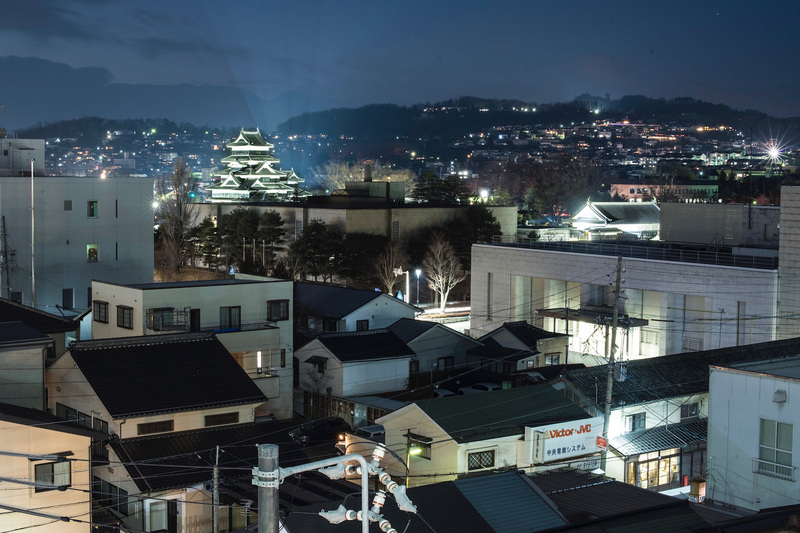 Kanazawa is more a gateway to the Japanese Alps than it is part of them, and is a popular starting point for excursions to the Tateyama Alpine route. It’s also somewhat recently become one of my favorite cities in Japan in general, in large part because of my experience exploring Kanazawa in winter, as well as nearby Shirakawa-go. 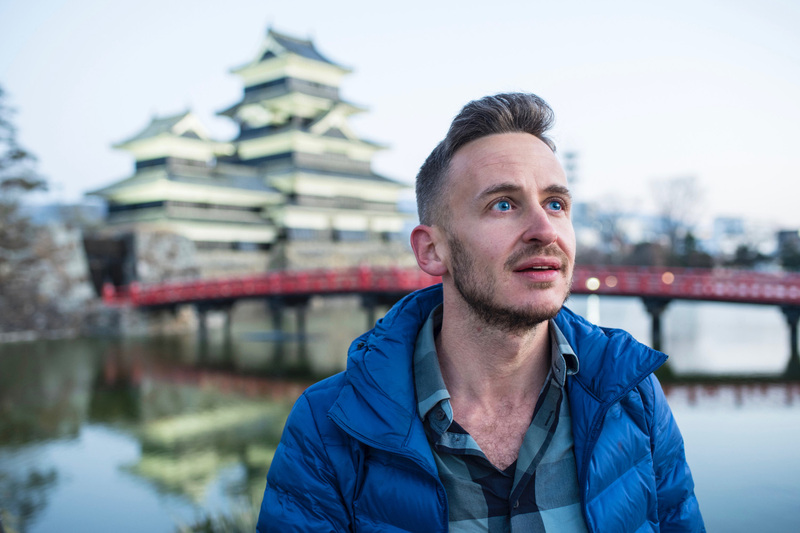 There are almost countless things to do in the Japanese Alps, whether you walk the Nakasendo Way, trek around the cities of Nagano and Matsumoto or even summit the highest peaks in the mountain range. Japan’s Alps are beautiful in every season, though they look particularly stunning as autumn’s leaves reach peak color. Alternatively, visit the Japan Alps in winter to take advantage of world-class skiing, or click here to hire me to plan your Japanese Alps itinerary.